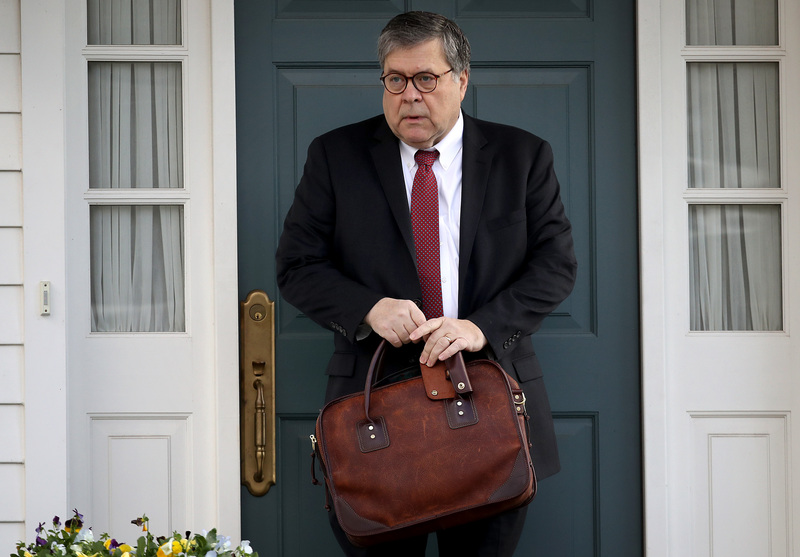 Attorney General William Barr on March 24 released the “principal conclusions” of special counsel Robert Mueller’s report on Russian interference into the 2016 election and related matters. He submitted the summary letter in a four-page letter to Congress, saying definitively that Mueller didn’t establish evidence that Trump conspired with Russia to rig the election. “The special counsel’s investigation did not find that the Trump campaign or anyone associated with it conspired or coordinated with Russia in its effort” to interfere in the presidential election, according to the report. Barr said Mueller’s investigated the allegations, employing 19 lawyers and 40 FBI agents. They executed hundreds of search warrants, 10 pen registers, and interviewed 500 witnesses. The investigation took about 22 months to complete. “For each of the relevant actions investigated, the report sets out evidence on both sides of the question and leave unresolved what the special counsel views as ‘difficult issues’ of law and fact concerning whether the President’s actions and intent could be viewed as obstruction,” Barr said. 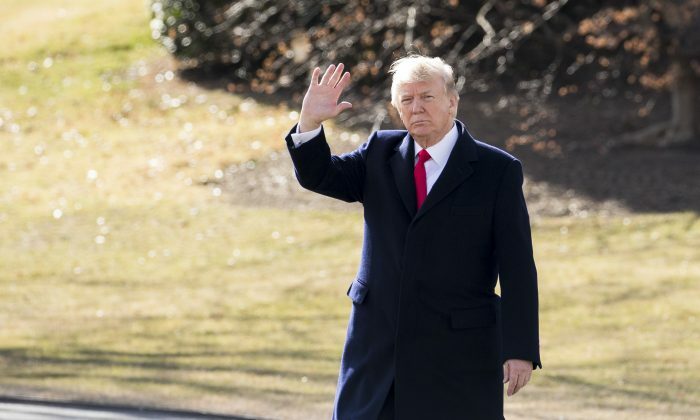 “The Special Counsel states that ‘while this report does not conclude that the President committed a crime, it also does not exonerate him,’” Barr said in the report. The Special Counsel’s investigation determined that there were two main Russian efforts to influence the 2016 election. The first involved attempts by a Russian organization, the Internet Research Agency (IRA), to conduct disinformation and social media operations in the United States designed to sow social discord, eventually with the aim of interfering with the election. As noted above, the Special Counsel did not find that any US person or Trump campaign official or associate conspired or knowingly coordinated with the IRA in its efforts, although the Special Counsel brought criminal charges against a number of Russian nationals and entities in connection with these activities. The second element involved the Russian government’s efforts to conduct computer hacking operations designed to gather and disseminate information to influence the election. The Special Counsel found that Russian government actors successfully hacked into computers and obtained emails from persons affiliated with the Clinton campaign and Democratic Party organizations, and publicly disseminated those materials through various intermediaries, including WikiLeaks. Based on these activities, the Special Counsel brought criminal charges against a . number of Russian military officers for conspiring to hack into computers in the United States for purposes of influencing the election. But as noted above, the Special Counsel did not find that the Trump campaign, or anyone associated with it, conspired or coordinated with the Russian government in these efforts, despite multiple offers from Russian-affiliated individuals to assist the Trump campaign. The Special Counsel’s decision to describe the facts of his obstruction investigation without reaching any legal conclusions leaves it’to the Attorney General to determine whether the conduct described in the report constitutes a crime. 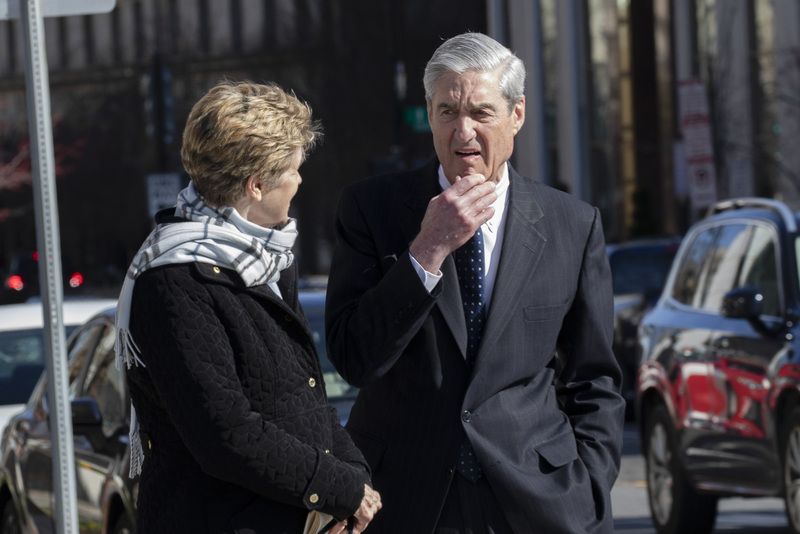 Over the course of the investigation, the Special Counsel’s office engaged in discussions with certain Department officials regarding many of the legal and factual matters at issue in the Special Counsel’s obstruction investigation. After reviewing the Special Counsel’s final report on these issues; consulting with Department officials, including the Office of Legal Counsel; and applying the principles of federal prosecution that guide our charging decisions, Deputy Attorney General Rod Rosenstein and I have concluded that the evidence developed during the Special Counsel’s investigation is not sufficient to establish that the President committed an obstruction-of-justice offense. Our determination was made Without regard to, and is not based on, the constitutional considerations that surround the indictment and criminal prosecution of a sitting president. In making this determination, ‘we noted that the Special Counsel recognized that “the evidence does not establish that the President was involved in an underlying crime related to Russian election interference,” and that, while not determinative, the absence of such evidence bears upon the President’ss intent with respect to obstruction. Generally speaking, to obtain and sustain an obstruction conviction, the government would need to prove beyond a reasonable doubt that a person, acting with corrupt intent, engaged in obstructive conduct with a sufficient nexus to a pending or contemplated proceeding. In cataloguing the President’s actions, many of which took place in public View, the report identifies no actions that, in our judgment, constitute obstructive conduct, had a nexus to a pending or contemplated proceeding, and were done with corrupt intent, each of which, under the Department’s principles of federal prosecution guiding charging decisions, would need to be proven beyond a reasonable doubt to establish an obstruction-of- justice offense. The relevant regulations contemplate that the Special Counsel’s report will be a “confidential report” to the Attorney General. See Office of Special Counsel, 64 Fed. Reg. 37,038. As I have previously stated, however, I am mindful of the public interest in this matter. For that reason, my goal and intent is to release as much of the Special Counsel’s s report as I can consistent with applicable law, regulations, and Departmental policies. Based on my discussions with the Special Counsel and my initial review, it is apparent that the report contains material that is or could be subject to Federal Rule of Criminal Procedure which imposes restrictions on the use and disclosure of information relating to “matter[s] occurring before grand jury.” Fed. R. Crim. P. Rule 6(e) generally limits disclosure of certain grand jury information in a criminal investigation and prosecution. Id. Disclosure of 6(e) material beyond the strict limits set forth in the rule is a crime in certain circumstances. See, e. g. 18 U.S.C. 401(3). This restriction protects the integrity of grand jury proceedings and ensures that the unique and invaluable investigative powers of a grand jury are used strictly for their intended criminal justice function.